The Chicago Association of REALTORS® Foundation not only supports REALTORS®’ education, it also supports the Chicagoland community and local nonprofits. 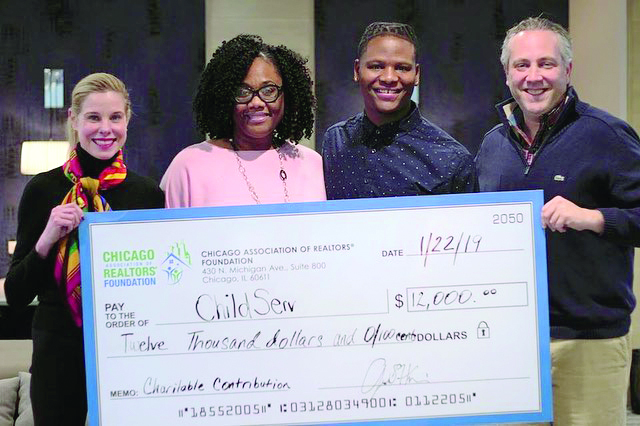 This January, the Foundation kicked off the year with a $12,000 donation to ChildServ, which provides early-childhood learning programs, foster care and adoption services and housing for homeless young adults. 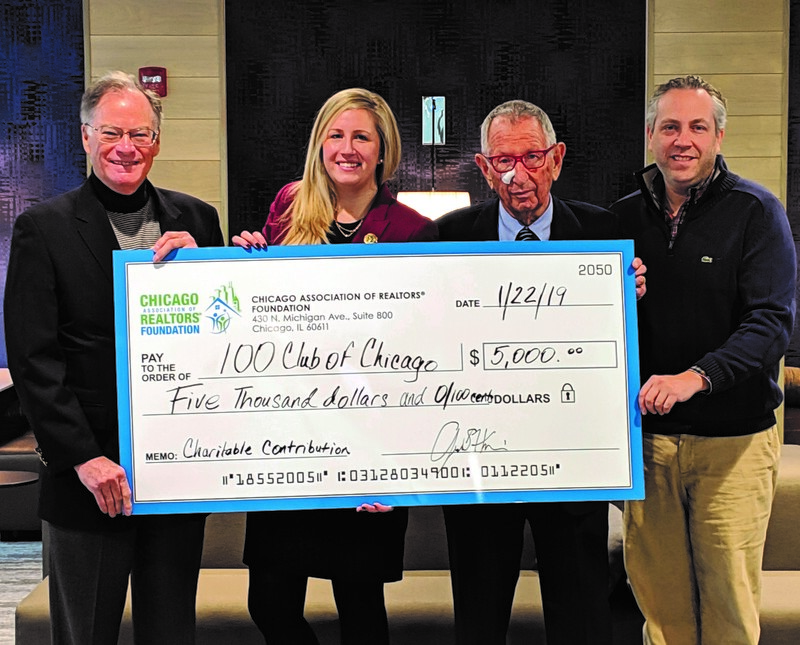 The Foundation also presented a $5,000 check to the 100 Club of Chicago, to support families of first responders who lost their lives in the line of duty. The 100 Club provides its members with resources in addition to emotional and financial support. Thank you ChildServ and the 100 Club of Chicago for all you do for our communities! Learn more about how the Foundation gives back, at ChicagoREALTOR.com/Foundation.